Hi guys! In one of the previous articles, we were telling you about the 5 best captains on the Counter-Strike:Global Offensive professional platform and now let’s speak about the young and most talented CS:GO players. It is not a secret that it is possible to play CS:GO successfully even if you are 30 years old (Polish players from Virtus.Pro are the best example of that). However, young talents which will have many years of successful game career in the future, are the most valuable addition to different eSports teams. Actually, a notion «young player» in the eSports is rather nominal, but in this post, we will set the age limit of 20 years and tell you about five most gifted players in CS:GO, who still don't reach 20 years. He is the only representative of USA in our TOP-5 list being the actual captain of his team. Stewie2k Jake Stewie2k Yip 19 years old Cloud9 has recently joined Cloud9 in January 2016 and immediately became an integral part of this leading American team. Later he took the role of its leader and one of the main team stars. In the process of Jake's growing–up and developing as a strong and smart player Jordan « n0thing Jordan n0thing Gilbert 26 years old null» Gilbert, his experienced partner in Cloud9, played a great role (Jordan has recently left Cloud9). Jake Yip is a «cross-functional fighting man». He perfectly shoots from all kinds of weapon and possesses strong leadership qualities, game aggression and ability to understand his opponent. Moreover, Stewie2k Jake Stewie2k Yip 19 years old Cloud9 is loved so much by the fans of Cloud9! Being in the membership of Cloud9, Stewie2k Jake Stewie2k Yip 19 years old Cloud9 won ESL Pro League Season 4 Finals (in the final game, Cloud9 took advantage of SK Gaming in Brazil), he took the second place in DreamHack Bucharest 2016 and ESL ONE Cologne 2017. In addition, he was the winner in the range of North American Regional Tournaments in order to take part in the major international tournaments. After PGL Krakow Major 2017, Cloud9 was joined by RUSH Will RUSH Wierzba 22 years old Cloud9 and tarik Tarik tarik Celik 21 years old Cloud9, who replaced shroud Michael shroud Grzesiek 22 years old null and n0thing Jordan n0thing Gilbert 26 years old null. Let’s see if Stewie2k Jake Stewie2k Yip 19 years old Cloud9 is able to lead a renewed American team to the international victories or no. Nowadays ropz Robin ropz Kool 17 years old mousesports, perhaps, is one of the top prospect players in CS:GO. Due to his young age ropz did not play professionally in Counter-Strike 1.6, but in CS:GO he has gone through the whole evolutional development path starting from the ordinary player on FaceIT till the star player of mousesports and one of the most desirable players among eSports clubs of Europe and Northern America. 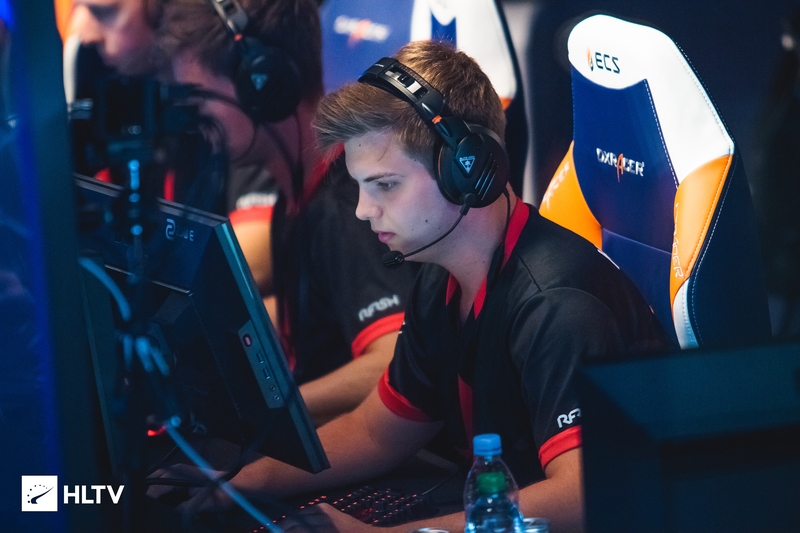 It is interesting to note that when ropz Robin ropz Kool 17 years old mousesports joined FPL (a prime league on FaceIT), many famous players suspected him to be a cheater, but later this Estonian guy dispelled all doubts with his impressive game style on the major LAN-tournaments. If you have a look at his statistics on HLTV.org, you might not be impressed too much: 1.07 K/D, 1.09 pursuant to the indicator rating 2.0. Thus, you should know that such statistics are based on Robin's games against the strongest CS:GO teams in the world, and he is now only 17 years old. In respect of weaker opponents (of tier-2/3 level), ropz Robin ropz Kool 17 years old mousesports is really ruthless – have a look at his actions in FPL! Being the player of mousesports, Robin has not won anything yet, but taking into consideration his progress speed everything is ahead of him. If you follow CS:GO platform very attentively, you obviously watched many YouTube highlights performed by this Estonian guy! Ropz – is a real monster in CS:GO! Despite his young age, Markus is a very experienced and successful player. After playing in the range of average level teams, Kjaerbye Markus Kjaerbye Kjærbye 18 years old North has been soon noticed and invited to the Team Dignitas (called North now), and then he went to Astralis. On the one hand, the scheme of Astralis game does not give Markus an opportunity to demonstrate all his skills and move on the maps killing everyone around him. On the other hand, it helps him to win prizes one by one. Kjaerbye Markus Kjaerbye Kjærbye 18 years old North perfectly understands his role in the team and he represents it as much as he can. By now Astralis takes the third place in the World Teams Rating, but only a short time ago, Markus and his colleagues were in the first place, and they have been there for a long period of time. Perhaps, it is the most talented Russian player in CS:GO from those who are not even 20 years old. The first steps in his professional eSports career this guy did by playing for Rebels and Team Empire. Then he was invited to Flipsid3 where he immediately became the star and the main firepower of the team. Denis is the real «frag machine». Thanks to his frags, FlipSid3 quite often manages to win some important competitions in the major tournaments and «to keep the lights on». During the past several months, electronic Denis electronic Sharipov 18 years old Natus Vincere even leads his team and there is an opinion in CS:GO community that it is high time for Denis to look for a stronger team. When we are talking about Denis Sharipov, the first thought is about his wonderful clutch that he managed to take against Fnatic on PGL Krakow Major. And, of course, our TOP–5 List would not be incomplete without Oleksandr Kostyliev, who is known by everyone in CS:GO community under the nickname s1mple. Actually, this Ukrainian player is one of three most popular players in the world, and it is rightly seen. S1mple is a player with a remarkable reaction and shooting skills so many experts consider him to be the best «aimer» in the world. In case, if there is a favorable game for s1mple Aleksandr s1mple Kostyliev 20 years old Natus Vincere, he is able to win competitions alone that was shown so many times when he was playing for Flipsid3, HellRaisers and Liquid. Liquid together with s1mple in a membership became a really powerful force and it was a first time in their game history, when they reached the final of CS:GO Major (ESL ONE Cologne 2016), but they did not manage to win this championship. S1mple shoots perfectly from any kind of weapon and after GuardiaN Ladislav GuardiaN Kovács 25 years old FaZe's transfer to FaZe Clan, he took the role of the main AWP sniper. s1mple Aleksandr s1mple Kostyliev 20 years old Natus Vincere possesses so many advantages but he has one rather serious drawback – his complicated nature and short temper. However, in 2017, Oleksandr did a great job in this area and became much calmer. Those people, who know Oleksandr very well, realize that all these Oleksandr's negative emotions are due to the fact that he hates losing to anyone and he cannot bear when his teammates are asleep at the switch. If you are a young player and you want to play CS:GO at the professional level we advise you to stay informed about the gameplay of s1mple!